Versatile, beautiful and EXTREMELY soft. Three words that sum up this bamboo scarf which conveniently doubles up as a shawl. 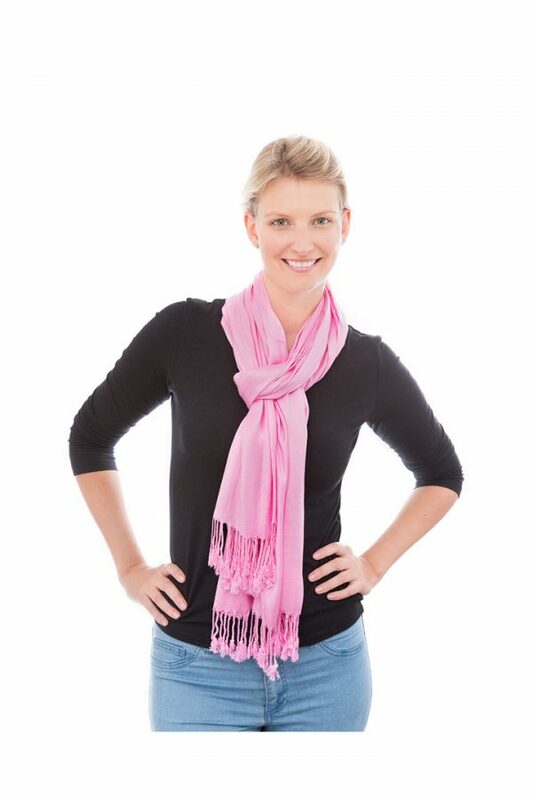 This is a perfect scarf to keep warm in the Winter and cool in the Summer. The bamboo fabric is light, airy and feels amazing to wear. Perfect to wear if traveling overseas; this scarf is large enough to wear over yourself as a head wrap. Doubled or even tripled up around your neck it will certainly keep you warm in the Winter months also. With so many colours to choose from, adding a touch of colour to any outfit is made easy. We know that once you have bought one, you will definitely want to buy another. Cool gentle machine wash with similar colours.